If you are found with items commonly associated to drug use in your possession in Dallas, you can be charged with possession of drug paraphernalia. Although this might not seem like an offense that can result in serious penalties, law enforcement officers will make every effort to also charge you with possession of a controlled substance and possession of drugs with intent to sell. If you are arrested for possessing any items commonly linked to drug use, It is important to consult an experienced criminal defense lawyer in Dallas who will fight to have your paraphernalia charges reduced or even dismissed. Contact the Law Offices of Richard C. McConathy if you have been charged with possession of drug paraphernalia in Dallas or any of the surrounding areas in Texas. We represent clients across North Texas, including Mesquite, Carrolton, and Richardson. Attorney Richard McConathy will make every effort to help you achieve the most desirable outcome in your situation. Call Law Offices of Richard C. McConathy for a free consultation at (972) 233-5700 about your alleged drug paraphernalia possession. According to Texas Health and Safety Code § 481.002(17), drug paraphernalia in Texas is defined as any equipment, material or product used to plant, cultivate, grow, harvest, propagate, manufacture, compound, convert, process, prepare, test, produce, analyze, test, package, repackage, contain, store or conceal any controlled substance, or to otherwise introduce any controlled substance into the human body. An individual can be charged with possession of drug paraphernalia under Texas Health and Safety Code § 481.112 if they knowingly or intentionally use or possess with the intent to use drug paraphernalia for containing, growing, planting, cultivating, storing, harvesting, compounding, producing, manufacturing, converting, processing, testing, analyzing, or concealing any controlled substance or for the purpose of introducing a drug, chemical, or controlled substance into the human body. Any drug paraphernalia intended to be used for containing, growing, planting, cultivating, storing, harvesting, compounding, producing, manufacturing, converting, processing, testing, analyzing, or concealing any controlled substance or used for the purpose of otherwise introducing any controlled substance into the human body. If it’s illegal for you to possess drug paraphernalia, you may be wondering how it’s legal for smoke shops (also called head shops) to carry a store full of apparent contraband. Smoke shops are able to get away with selling things like glass pipes, bongs, and grinders because many of these items can legitimately be used for another legal purpose. Many shops display a sign stating that their pipes are sold only to be used with tobacco and other legal herbs. Unfortunately, you don’t get the same benefit of the doubt. If you are stopped by a police officer and he finds your pipe or other drug paraphernalia, there’s a good chance you’ll be arrested. Even if the paraphernalia is brand new with no illegal substance residue, you may still face criminal charges. But an experienced drug crimes attorney can help you push back aggressively against those charges. An individual who is charged with a possession of paraphernalia offense could face a conviction for a Class C misdemeanor, Class A misdemeanor, or state jail felony, depending on a variety of factors. For example, delivery of drug paraphernalia to a minor under the age of 18 by an adult can result in a conviction for a state jail felony. Additionally, penalties can increase if the alleged offender has previous drug convictions or if they possess with the intent to distribute. A conviction for a Class C misdemeanor drug paraphernalia possession offense can result in a fine up to $500. A conviction for a Class A misdemeanor drug paraphernalia distribution offense can result in a jail sentence up to one year and/or a fine not more than $4,000. A conviction for a state jail felony drug paraphernalia offense could result in a fine up to $10,000 and/or a jail sentence from 180 days to two years. If an individual has been convicted of a previous paraphernalia offense, they can receive a mandatory jail sentence ranging from 90 days to one year upon a second or subsequent possession of paraphernalia with intent to distribute offense. Dallas County’s Diversion and Expedited Rehabilitation and Treatment, DIVERT, provides alleged felony offenders eligible for pre-trial release an alternative punishment if they have been charged with possession of less than one gram of a controlled substance. Anyone who has a previous drug history or committed any other criminal offenses is not eligible for the drug program. The DIVERT program generally lasts about 12 to 18 months. Individuals enrolled in the program undergo substance abuse education and participate in education and employment services. If the alleged drug offender successfully completes the program, their case will be dismissed. However, a failure to successfully complete the program will result in their going to court for prosecution. Contact Law Offices of Richard C. McConathy today for a consultation about your alleged paraphernalia possession offense throughout Dallas County in Texas. 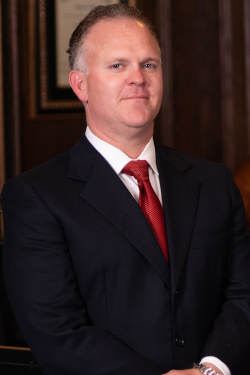 Richard McConathy is an experienced Dallas, TX criminal defense attorney who will make every effort to help you avoid the most serious penalties and repercussions for your alleged offense. Contact Law Offices of Richard C. McConathy at (972) 233-5700 for a consultation about your drug charges throughout Dallas County in Texas and the surrounding counties of Denton County, Collin County and Tarrant County. This article was last updated on Thursday, January 31, 2019.